Oil on stretched canvas. One of 10 paintings from Bungaree S A. The Shearing shed at Bungaree Station, South Australia. Framed. Gouache on Arches Paper. Framed under glass. Bungaree Sheep Station South Australia. 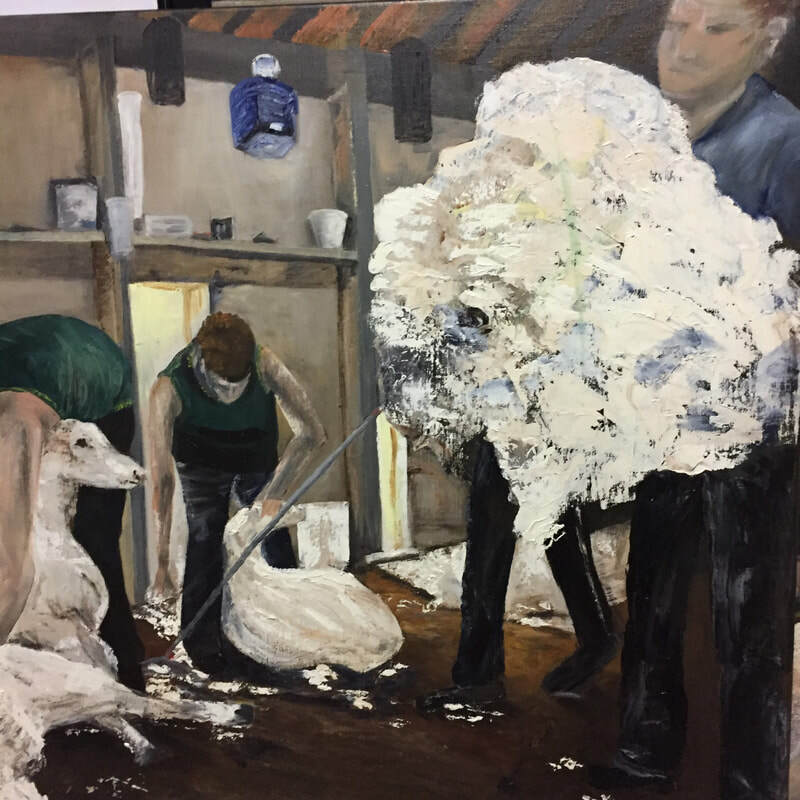 "The Shearers ", Bungaree Sheep Station South Australia. Available from Satch and Co.
​Bungaree Sheep Station South Australia. Size H101cms x W 76cms.